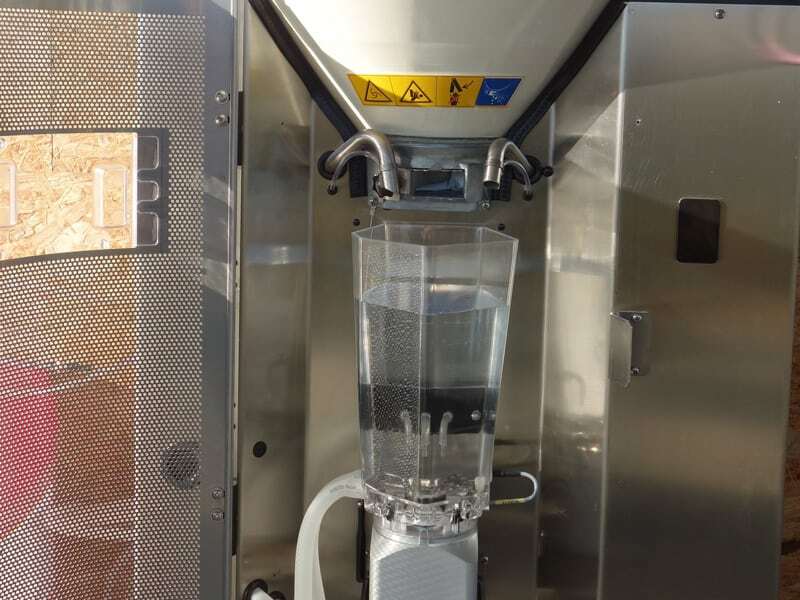 Optimize calf rearing and your work processes with our state-of-the-art automatic feeder: The VARIO smart feeds up to 120 calves freshly prepared feed around the clock at the optimal temperature. 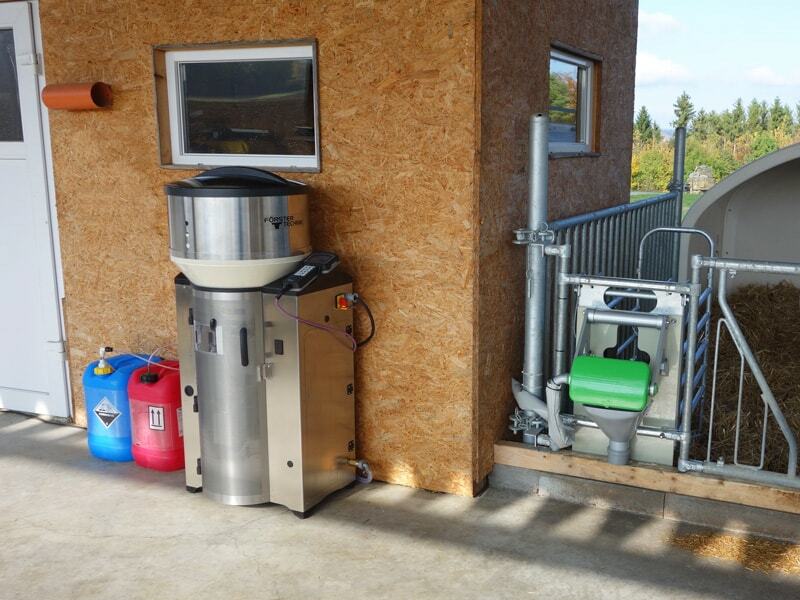 Self-service for calves: With up to four feeding boxes, the VARIO smart is best for farms with demanding requirements. The calves are individually identified via a neckband transponder or electronic ear tag and can access their portions, optimized for their age and specific needs, at any time. The automatic feeder enables calves to feed when they feel like it, simulating natural feeding behavior from a cow. Benefit from balanced calves provided with ideal nourishment, and lay a strong foundation for the health of your future herd of dairy cattle. Healthy, intensively-fed calves grow into vigorous and strong dairy cows with superior output! Gain time flexibility! The VARIO smart automatic feeder prepares the feed for you and ensures optimal feeding of your calves – The automatic cleaning feature ensures the highest level of hygiene. With the VARIO smart, you can structure your work day independently of feeding requirements: The automatic feeder reliably and precisely records the feed consumption per calf so you always have an overview of your animals. If a calf’s feeding behavior changes, the VARIO smart immediately reports it – allowing you to respond quickly and prevent illness. Can it get any more convenient? Yes! The “smart” generation of automatic feeders are internet-capable as standard. Use our free CalfApp & CalfCloud and track your calf stalls on your mobile device! Internet-capable as standard – Use our free CalfApp & CalfCloud! 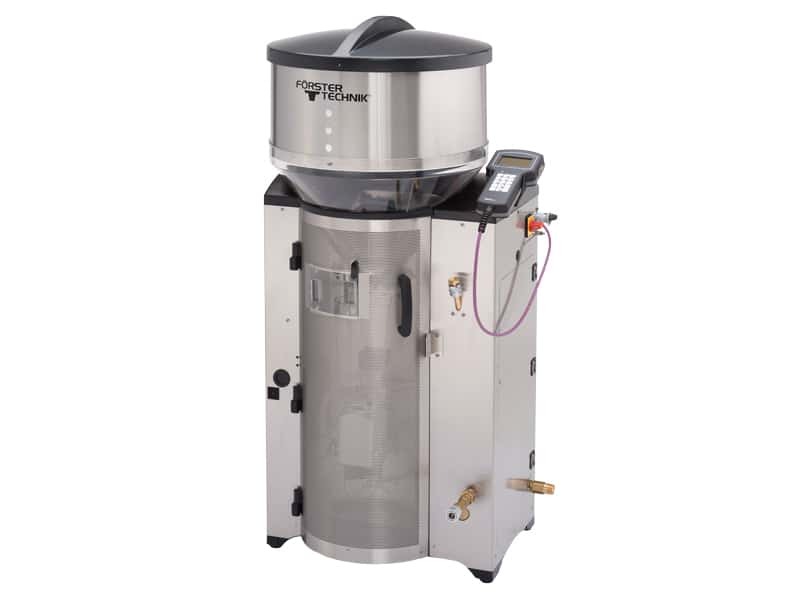 The VARIO smart automated feeder is available in a powder, fresh milk or combination version which allows you to feed both milk replacement as well as fresh milk. Our wide range of accessories means you can assemble your ideal automatic calf feeder yourself: Discover our automatic calibration, robust hose pumps for parallel feeding and much more! We look forward to advising you, simply give us a call. 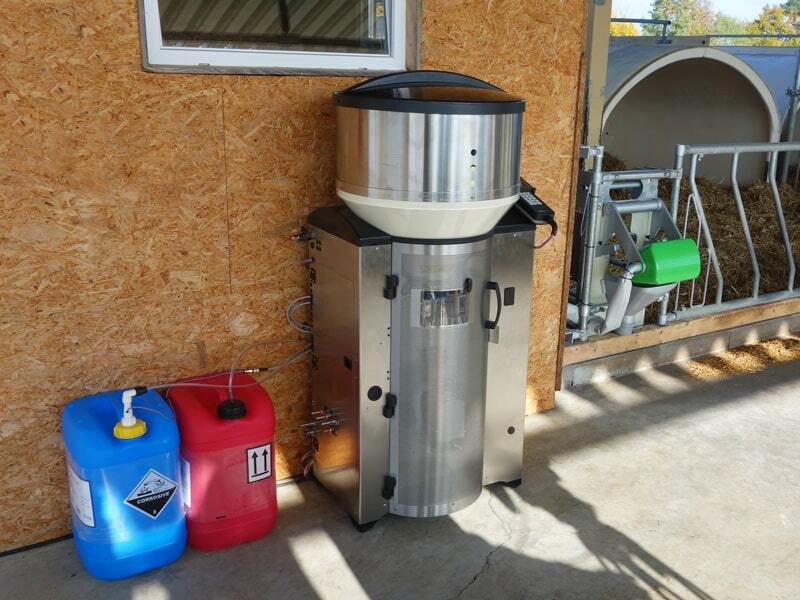 The automatic feeder VARIO smart supplies your calves with always freshly prepared feed.